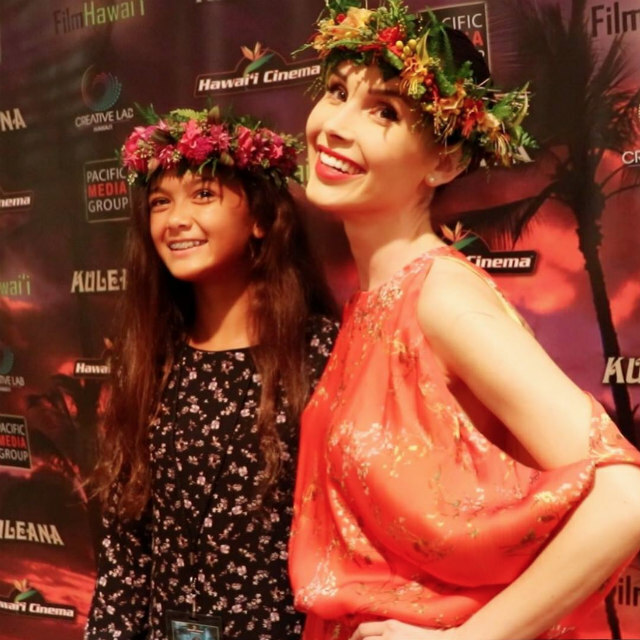 Kristina Anapau discusses her career and her upcoming drama Kuleana. *Above photo by Jack Grace. You’ve done so much, Kristina, and every part you play is always different to the one before. Has that always been the plan? I don’t think I have ever really had much of a plan when it comes to choosing projects. In a lot of ways, I have always felt like the right projects have found me at the right time, rather than the other way around. Inevitably, there always seemed to be something that I had needed to explore in myself right at that moment that the particular role forced me to explore. Was there ever a time when you were offered the ‘same sort’ of part though? Hollywood likes to play it safe, so a bit of typecasting is inevitable. Lucky for me, I love playing other-worldy characters or characters with other-worldly abilities - that seems to have been a theme throughout my career. I also seem to be pregnant on screen more often than not - I’m not sure what that one is about. What do you think have been some of the more riskier, challenging parts you’ve taken on? Playing a blind woman in the indie film 5 Souls was pretty risky – doing independent film in general is always risky I suppose – but that role was particularly so. I studied at The Braille Institute in Los Angeles for about a week before leaving for the shoot – with the same woman who trained Al Pacino for Scent of a Woman. It was an incredible experience. Sometimes I think the homework before filming is the real payment for doing the movie. How did Kuleana come to be? The director Brian Kohne and I first met at The Big Island Film Festival, where I was receiving an achievement award, and his film had won the grand jury prize. Collaborating with Brian has been an incredible experience – he gives 100% to everything that he does and all of his hard work has definitely paid off with Kuleana – it’s an absolutely beautiful film. Was it a long shoot? Not too long – I think I was on location for about a month – and when they are putting you up at Laird Hamilton’s former home overlooking the ocean on Maui, a month goes by pretty quickly. Maui is an absolutely spectacular place to film. What can you tell us about your character, Rose? Rose loves her adopted daughter (played by Kealani Warner) very much and would gladly sacrifice herself to protect her. I think it’s that sacrificial nature that drives so much of who she is in the film. In certain aspects, she’s resigned to her life – to her unhappiness – but there is an undeniable strength and almost other-worldliness in her that surfaces throughout. What’s the message in the movie – as you see it? Kuleana is Hawaiian for ‘spiritual responsibility,’ and the discovery that many of the characters go through on their respective journeys throughout the film, involves them (and the audience) coming to the realisation that Kuleana is a privilege, not a burden. I hope viewers walk away thinking about the concept of Kuleana and how they can apply and incorporate it into their own lives. We could certainly use more Kuleana in our world today.